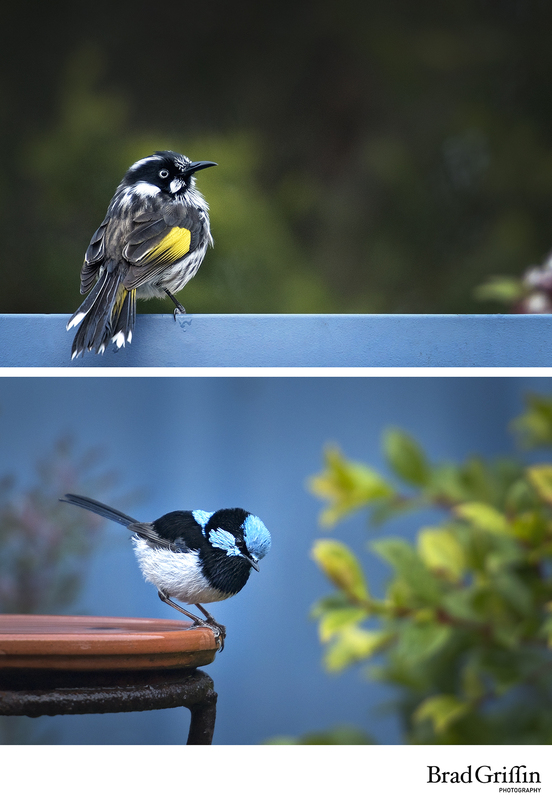 It is such a treat to have these guys come and visit when I’m slaving away on my computer…It’s a lovely distraction, these two beautiful creatures and their friends come in for a quick bath, eat some insects, say hello and then take off to their next destination. Love the Blue Wren, rarely seen in the suburbs! Gorgeous Brad.